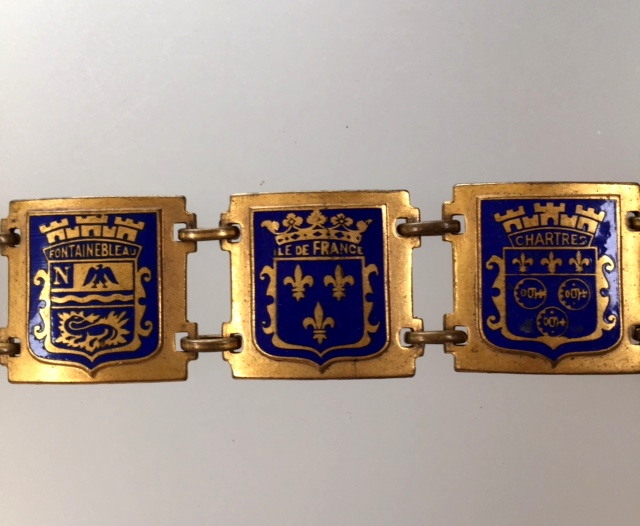 A superb French Cobalt Blue Paris C1920's Souvenir bracelet with all of the Regions of PARIS, the City of Light! 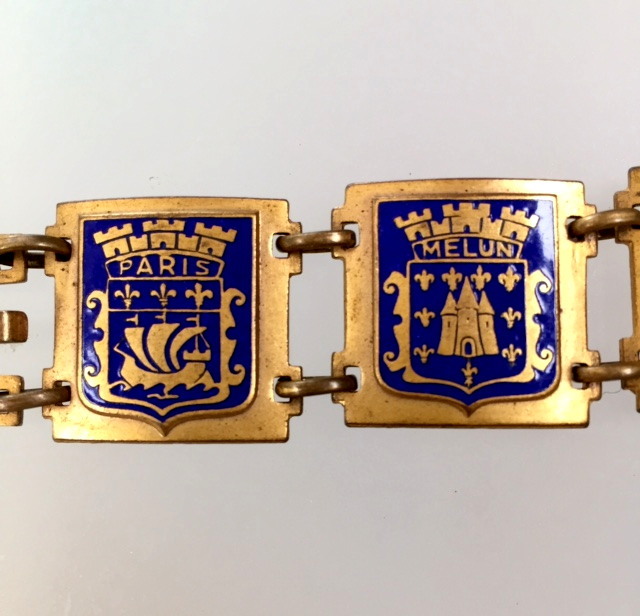 The piece is Guilloche enamel in Brass with 7 panels, PARIS, Melun, Fountainbleu, Ile De France, Chartres, St Germain , and Etampes and a Ship, (the Paris Coat of Arms) Notre Dame de Paris, The Eiffel To. 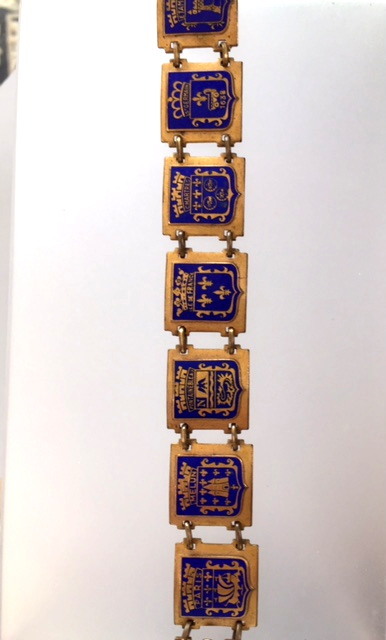 Measures 7" Long and 7/8" wide.